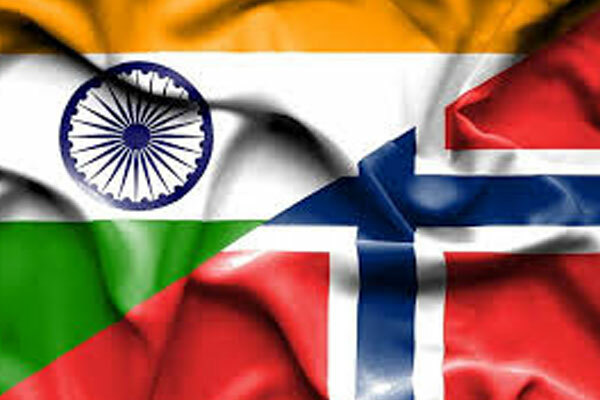 Ministry of Health and Family Welfare (MoH&FW) signed a Memorandum of Understanding (MoU) with the Norwegian Ministry of Foreign Affairs, Government of Norway to extend the cooperation within health sector through the Norway India Partnership Initiative (NIPI) for a period of three years starting from 2018 to 2020, in New Delhi. Preeti Sudan, Secretary, MoH&FW and ilsRagnarKamsvag, Ambassador of Norway signed the Memorandum of Understanding. Vandana Gurnani, JS (RCH) and officials from the Ministry and counterparts from the Norwegian side were also present during the signing ceremony. This cooperation between India and Norway is aligned with the development goals of Government of India as outlined in its National Health Policy 2017 for achievement of Sustainable Development Goals (SDGs). The cooperation shall also focus on global health issues of common interest. The partnership will include areas related to maternal, new-born, child health, and shall build on experiences from NIPI phase I and II. The cooperation will continue to focus on innovative, catalytic and strategic support, and stride in taking the Indian Government’s Intensification Plan for Accelerated Maternal and Child Survival in India. NIPI Phase 3 (2018-2020) will be built on the experiences of NIPI I & II, and will scale up to the intensified districts, and also establish an innovation hub. The best practices in maternal and newborn child health carried out under the National Health Mission and NIPI shall be shared for global dissemination and learning and thereby enabling scaling up. In the recent World Health Assembly, Family Participatory Care, an initiative of NIPI was showcased as a India case study. The Governments of Norway and India had agreed in 2006 to collaborate towards achieving MDG 4 to reduce child mortality based on commitments made by the two Prime Ministers. The partnership was based on India’s health initiative, the National Health Mission (NHM), and aimed at facilitating rapid scale-up of quality child and maternal health services in four high focus states – Bihar, Odisha, Madhya Pradesh and Rajasthan and also as a RMNCHA+ partner in Jammu and Kashmir. The main activities in Phase I (2006-2012) were home-based new born care (HBNC), Yashoda through state health system, establishing Sick Newborn Care Units (SNCU), techno managerial support, and providing strategic support for immunization and Public Private Partnership (PPP) initiatives. Norway India Partnership Initiative (NIPI) through its work in the last ten years (2007-2017) has resulted in newer initiatives. In addition to trying out innovations, NIPI has also supported NHM by providing credible technical support in the five states and at national level. This has resulted in development and release of multiple policies and guidelines for the NHM.